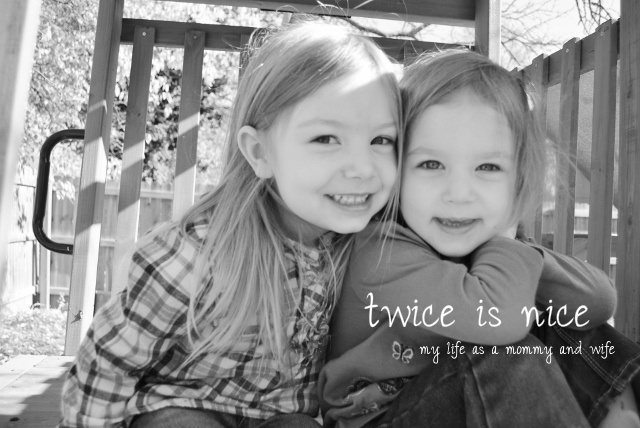 twice is nice: "Precious Moments Storybook Bible"
As a mother to two little girls, I am always looking for great family books that we can share together, and I have to say this book is one that I love! Precious Moment's Storybook Bible, which is put together in a hardbound book starts off with a dedication page where you can put who the book is for, and from. Then it provides a place to enter your Family Tree info, Church info, favorite things & table of contents. Designed for children, probably preschool age and up, the book is divided into four sections: Favorite Bible Classics (Adam & Eve, Noah's Ark, Baby Moses & more! ), Words of Praise & Wisdom, More Stories of the Faith, and Songs & Prayers (you can even add your own at the end). 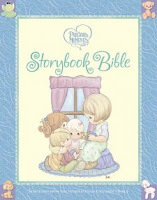 It has beautiful illustrations that bring each of the stories, songs & prayers to life for your children. I really liked how the book could be personalized for your child, and the size of font (14) which would be perfect for early readers. And at the beginning of every story, it said where it was located in the Bible. I would definitely recommend this book for any family that has young children - it is a must have for any Christian family to own :) The illustrations are wonderful, and the stories are ones that I would love to share with my own girls as they grow up. This would be a great gift for any child, or even for a grandparent who loves Precious Moments! Thank You so much Booksneeze for letting me review this book! 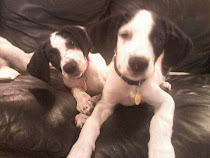 I am really enjoying being apart of your bloggers reading program :) Take care & I look forward to reading more books!